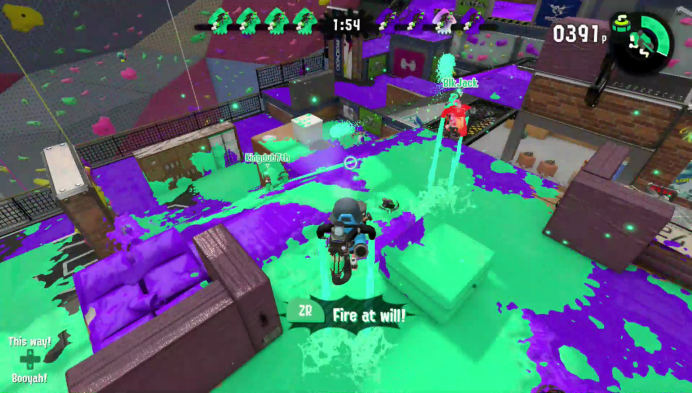 As I sat down to play the first round of Splatoon 2‘s recent global testfire event, I admit – I didn’t quite know what to expect experience-wise. 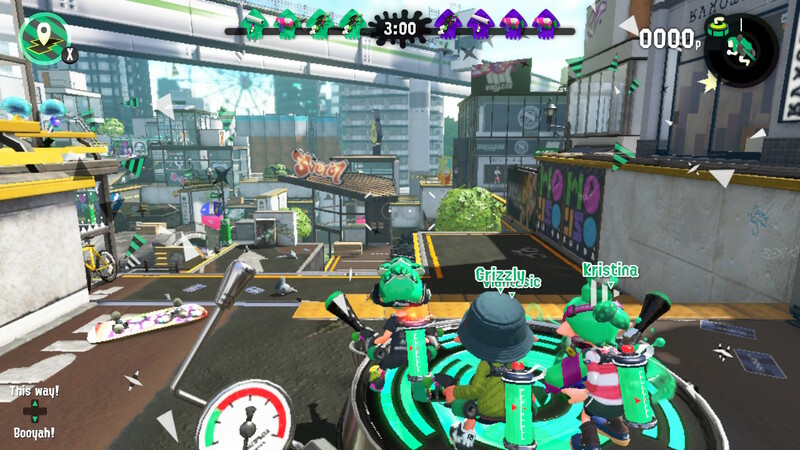 There are some games that are easy to read from a very short bit of explanation or gameplay video, but while I had seen Splatoon played before I wasn’t someone who had any real-world experience under my belt. A veritable virgin, I was going in – tool in hand – with no idea what to do. Within the first few minutes, and after the quick tutorial, I was covering the map in ink… but while I was expecting to be running around and attacking like I would in any multiplayer shooter, this game seemed a bit slower at first glance. 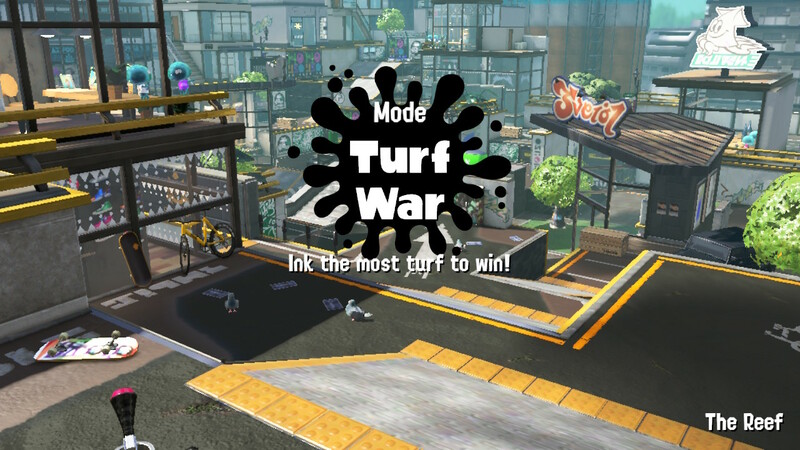 I was simply not used to the mechanics of the two forms, and the most of my first map was spent wasted as I wasn’t quite attune to the idea of using your team’s ink trails to move fast and rebuild ink in squid form. 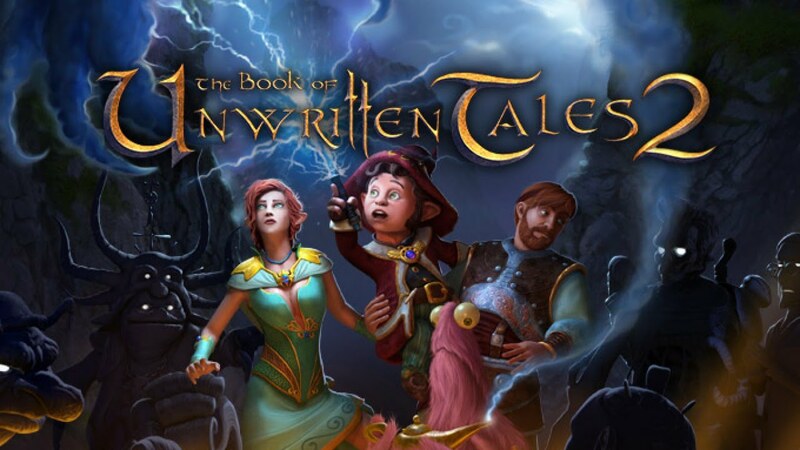 Time, ink, and lives were lost to the learning curve that match – but it only took a few before I was accustomed to the hook, strategizing and moving up the result page on a regular basis like the others. I found that while Splatoon 2‘s mechanics might be jarring for a moment, even with the motion controls it’s quite easy to pick up for a new player; especially if you’ve already gotten some practice in with Breath of the Wild. Sure, it doesn’t work quite the same – but in a few minutes I was circling and motioning without extended mental effort, and that was all that mattered to me. 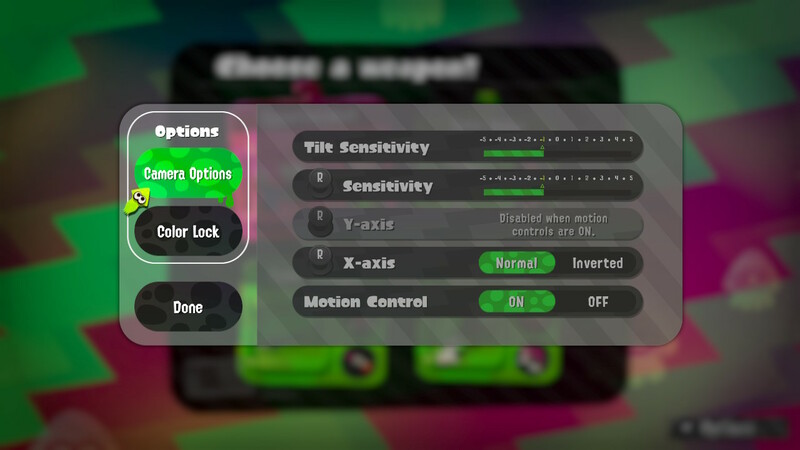 If you prefer to turn or tune the motion controls that option was there as well, but I only tried it to make sure it worked. 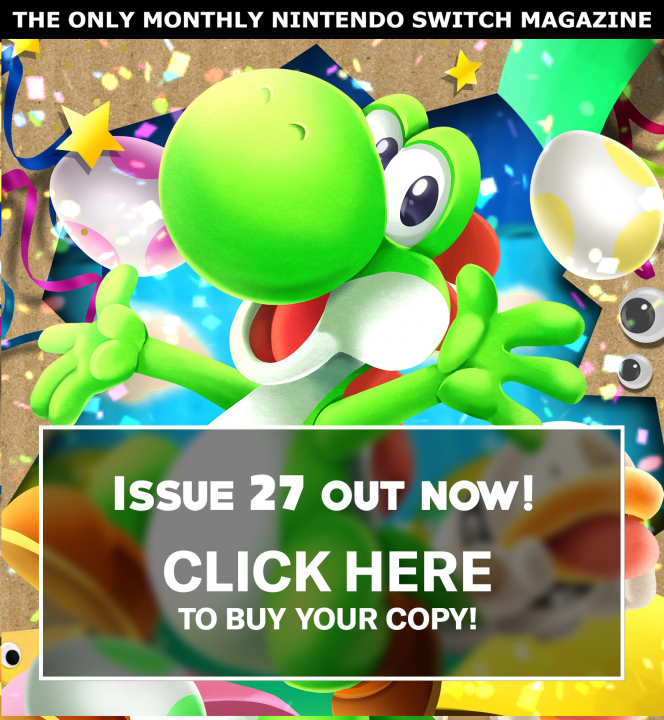 Spoiler; it did. As for the content of the testfire, we were allowed two obstacle-laden maps – The Reef and Musselforge Fitness – and one mode by the name of Turf War. 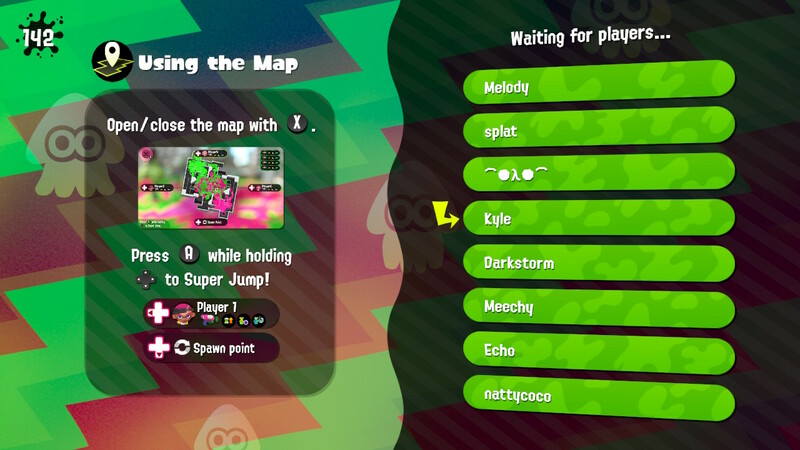 The map choice was random (it did not alternate), and lobbies were four-on-four with a mandatory wait until the lobby filled up – which meant that at times (i.e. 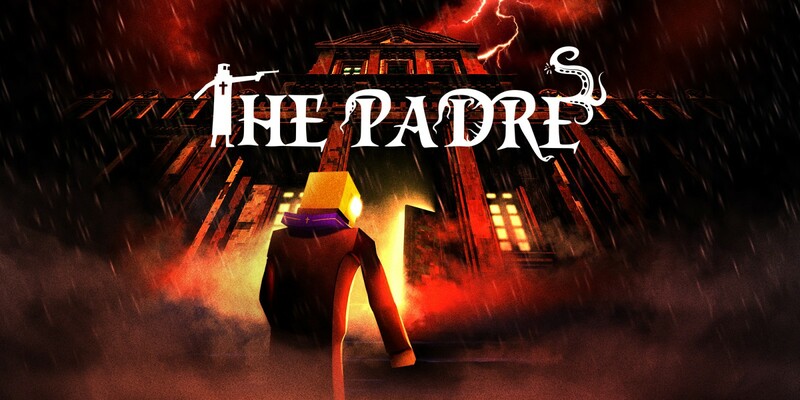 ; the nighttime testfire rounds, or at the end of the sessions) you were booted back to the main menu after waiting two or more minutes for nothing. 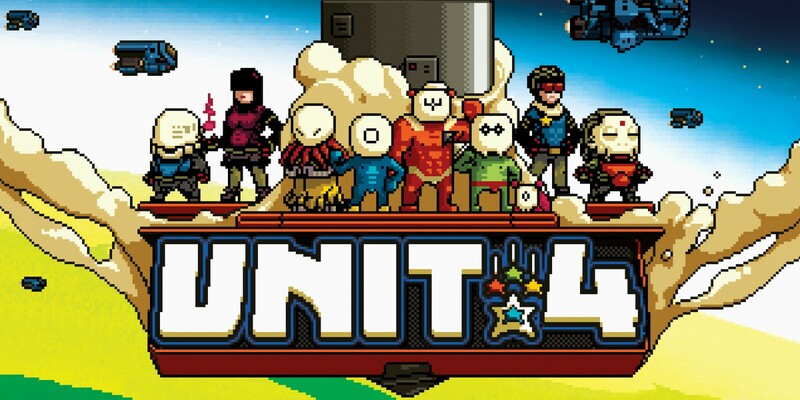 Aside from that little “quirk” of the system however, the entirety of my playtime appeared to be simply flawless. Not once did I get kicked from a game that managed to make it to the after-lobby stage, and there was no choppiness to the way that the game moved when playing against other players – either in frame rate or connected player movement. 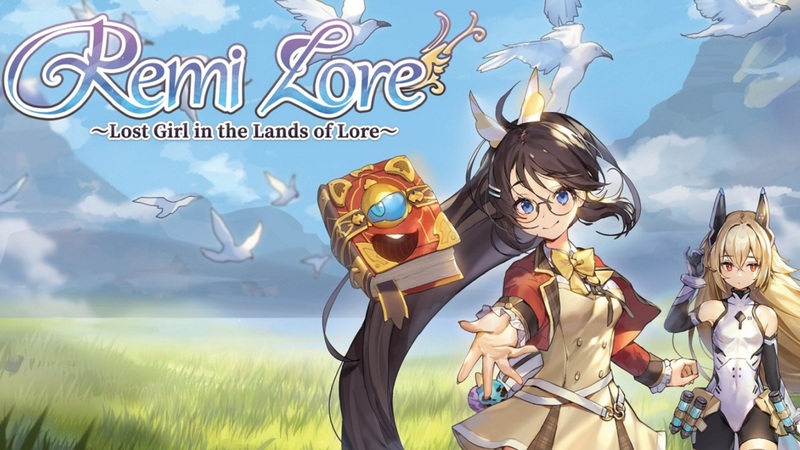 The entirety of my actual play time was smooth and seamless, and at times I was even uploading videos to YouTube while playing; something that usually cripples my chances for quality online gameplay. People like tweeter @octobyte_ – who have the tools to measure such things – are reporting that the tick rate (how often it sends and receives data) is much lower than most games of its sort at 12.5Hz, while @Wario64 (among others) tried tethering to confirm that it doesn’t use much data at 130-150MB/hour. 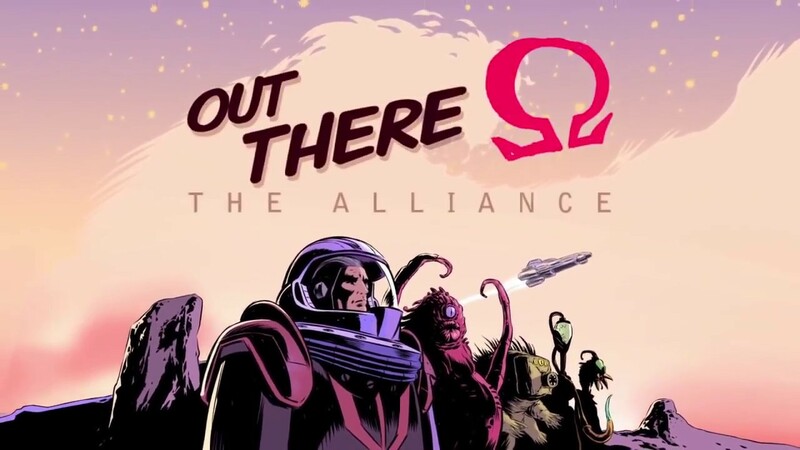 Maybe that’s where the special sauce in this one is hinted at, but either way it’s clear that the quality of the connected experience was fantastic. 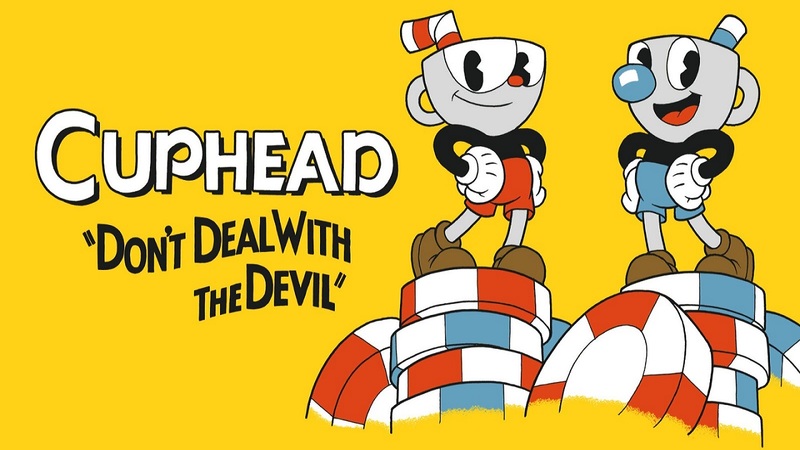 But what about the actual gameplay, right? Well that’s yet another positive aspect in my opinion, as my bad self was able to pick it up and get involved in all the right ways. Over the course of my six hours in playtime, I tested out the four weapons and their special attacks – figuring out just how the pieces of this puzzle come into play, and why there is no “perfect weapon” in the process. 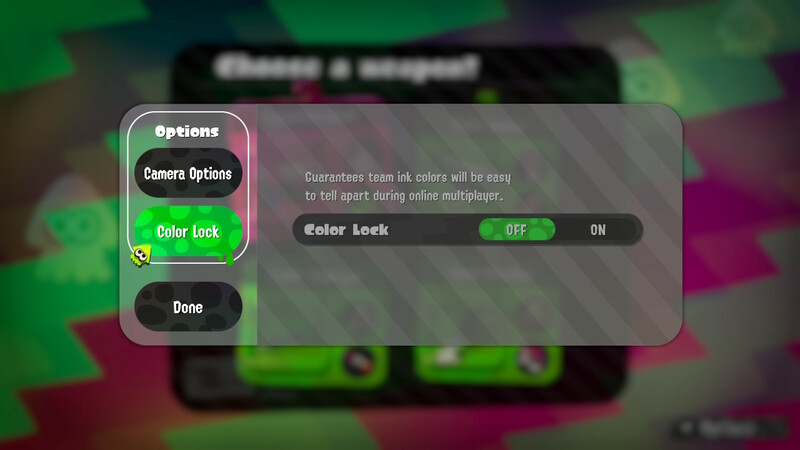 I found that while all the choices were indeed very different (okay, maybe the Splattershot and Splat Dualies are close), they’re also limiting in their own unique ways. 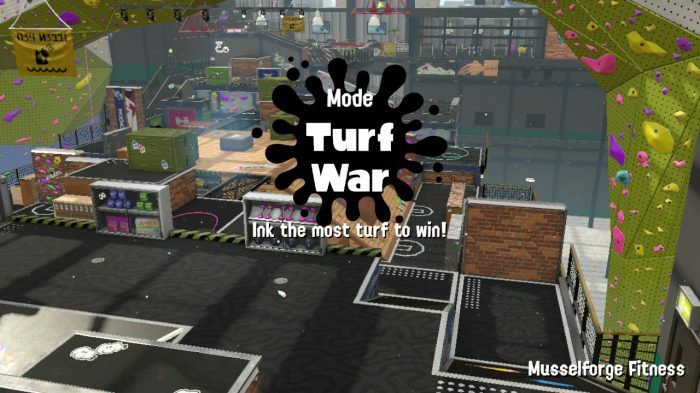 Some weapons fire quickly and unload ink like it’s going out of style – with very little fine control, and others are very sparing and use ink both wisely and precisely. 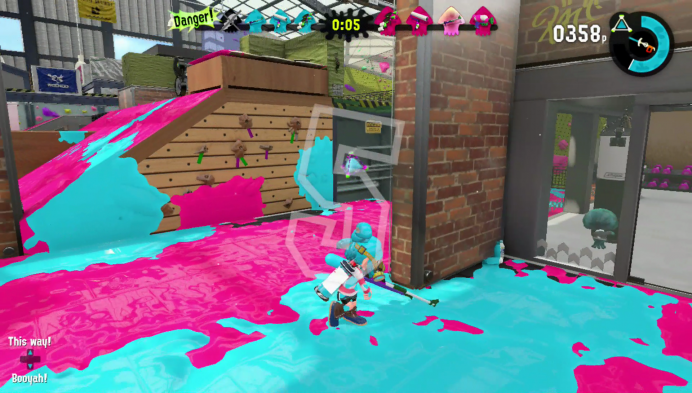 For example, the Splat Dualies are more geared towards a combative barrage of ink blobs from a distance; while on the other hand, the Splat Roller is more conducive to painting large areas quickly and taking out enemies close-up. Both of these can put you at a disadvantage to each other when in direct competition, though both are very useful in upping those points. While we’re on the weapon choices, I should probably outline them for you – as they’re not as simple as a one-pump-chump. They all have primary, secondary, and special uses which can be quite different from each other as well. 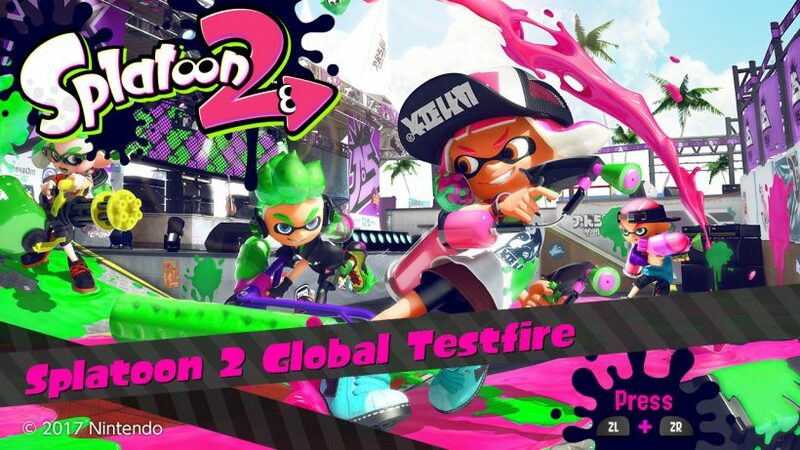 The first weapon you’re offered in the Splatoon 2 global testfire is the Splattershot. It’s a fast-firing, single barreled machine gun that can empty your ink in just a few moments, and it’s an easy first time choice for those looking to get into the action. 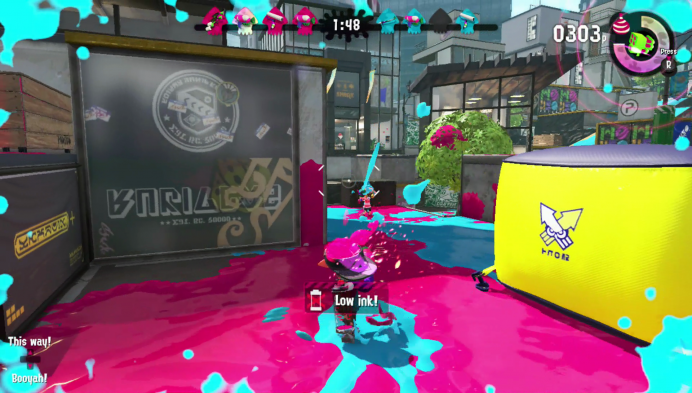 Aside from its primary mode however, the secondary usage is actually a giant ink splat in the form of the burst bomb – though it uses an excessive amount of ink (it’s indicated on your ink meter how much you need). 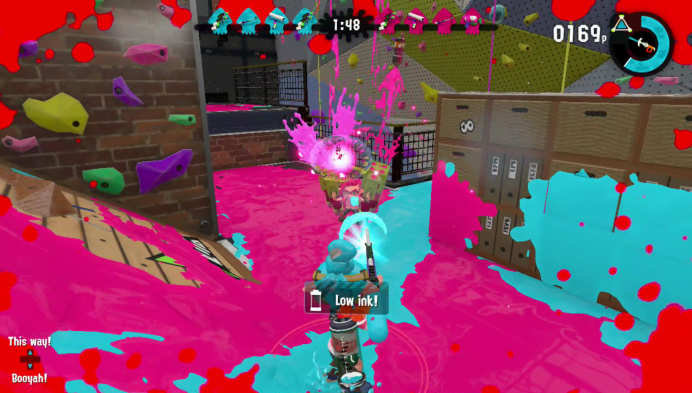 Finally, there’s a special attack that only activates once a certain amount of points have been gathered in a single life; it activates an ink-based Tenta-Missile (rocket launcher with lock-on) launch with this load-out. 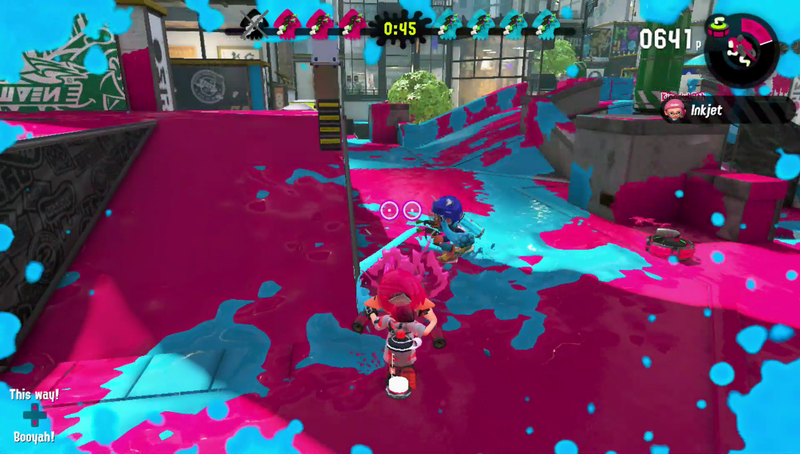 Weapon number two is the Splat Roller, and it’s kind of unique in that it offers very little in the way of distance attacks in its main usage. The Splat Roller is good for efficiently and thoroughly covering a large swath of ground with ink. It lays out a blocky pattern of in ink front of you, and lasts a fair amount of time between charges – but its secret weapon is that it’s an insta-kill on any squid kid you happen to touch directly. 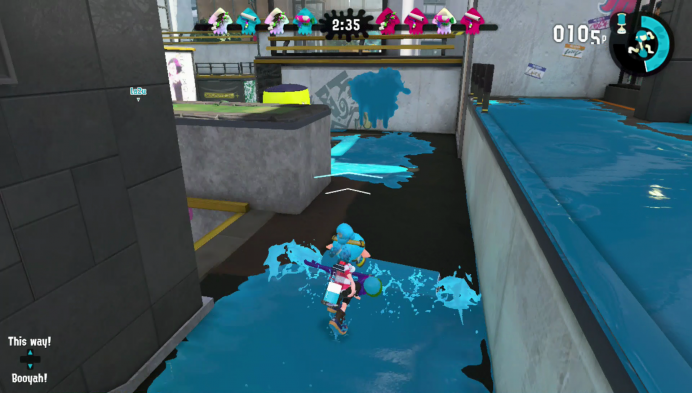 Aside from its main usage, it also allows you to fling a narrow stream of paint when in the air; a move that seems quite deadly in its own rights. 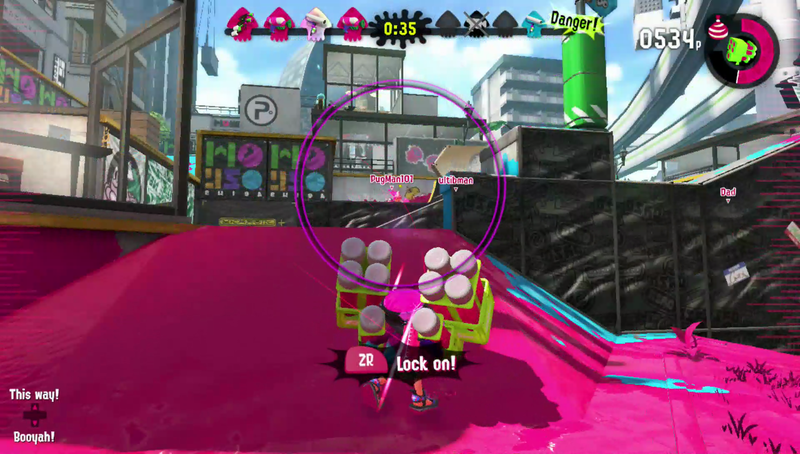 The secondary option here is a curling bomb, and it bounces about like a timed (and one-hit-lethal) grenade when you let it go. 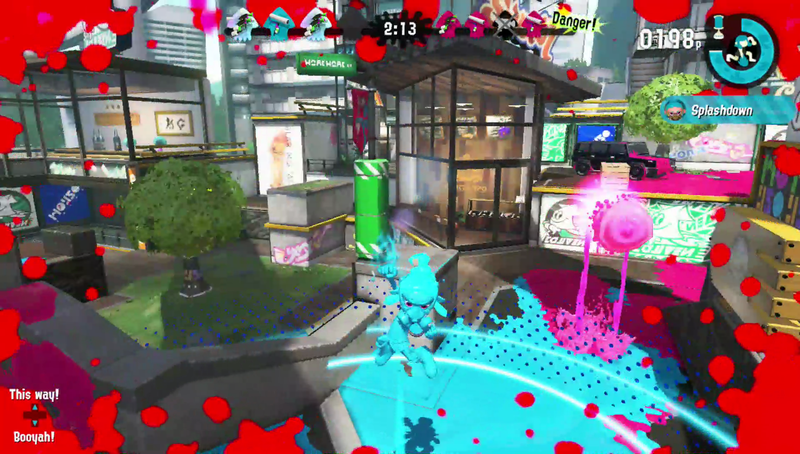 Finally, the special attack isn’t quite like the others, as it has the player jump up into the air for a Splashdown – which is a fancy word for a ground-pound-like splat that acts as an insta-kill over the immediate area. The third equip on the roster is the Splat Charger, and by far it’s the hardest to use. In the form of a sniper-rifle, this weapon is deadly to anyone caught in your path – but it’s also not that easy to accomplish in practice. 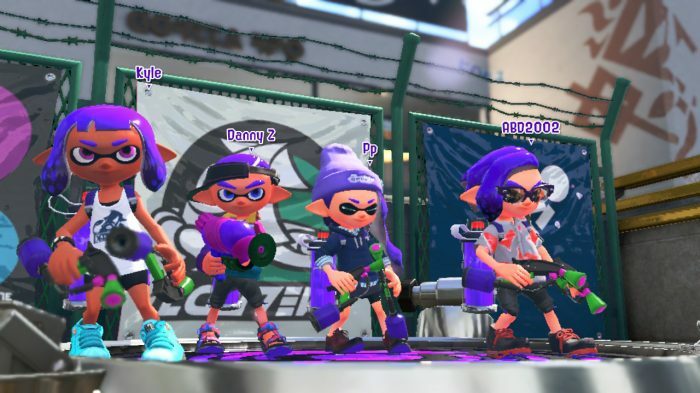 I’m sure a team-based event where players can coordinate would change that drastically, but as a “disconnected” part of a team you need to be crazy good to pull it off. I was killed by one of two of these players, but I was pretty useless with this one. The secondary mode for the Splat Charger is pretty good however, and acts like both a timed and proximity ink grenade; toss the splat bomb, watch it blink, and wait for the boom. 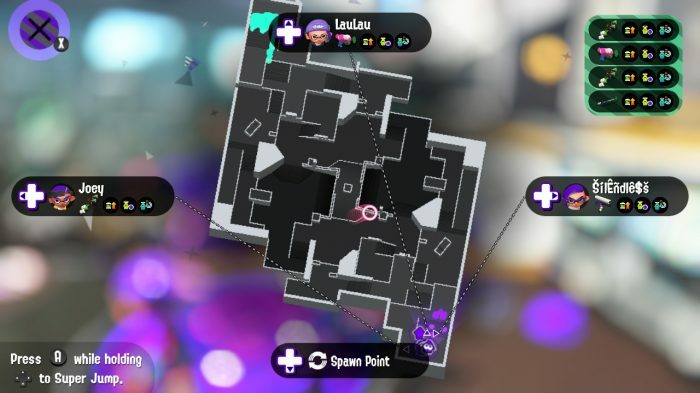 I was only able to bust out the special for this one once, but it’s a laser-like penetrating shot that will take out enemies through walls and at a distance. Ouch! The final equip we were able to play with in the testfire was the Splat Dualies. 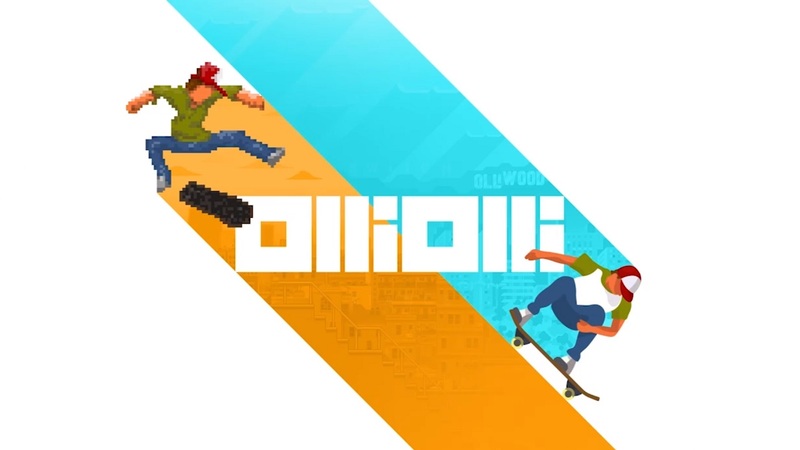 They’re a rapid-fire two gun solution, that will have you coating enemies or surfaces with quickness and the possibility for distance. That said, it’s one of the weapons you need to hit the enemy multiple times with to take them out; so it’s not ideal either. The secondary attack here is a suction bomb, which sticks and goes off with a timer for an insta-splat in range. Finally, the special is the inkjet jetpack – which launched you into the air for floating attacks from above. 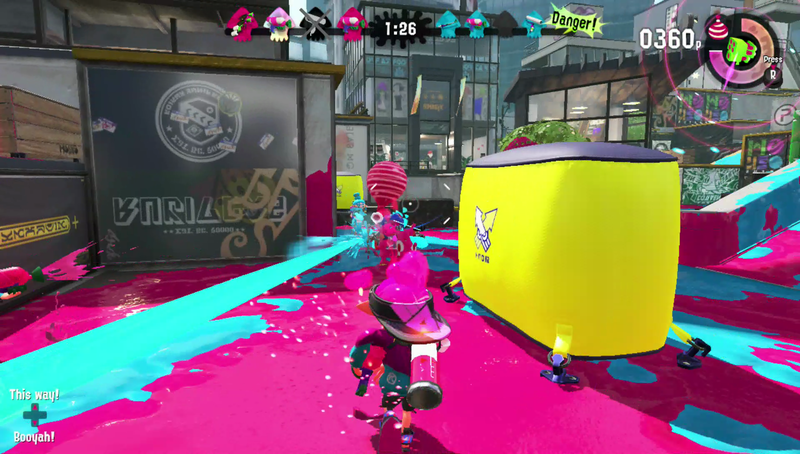 While it leaves you open with nowhere to hide, it also allows you to insta-kill anyone you hit from the air, and it flings you back to its activation point once it runs out. 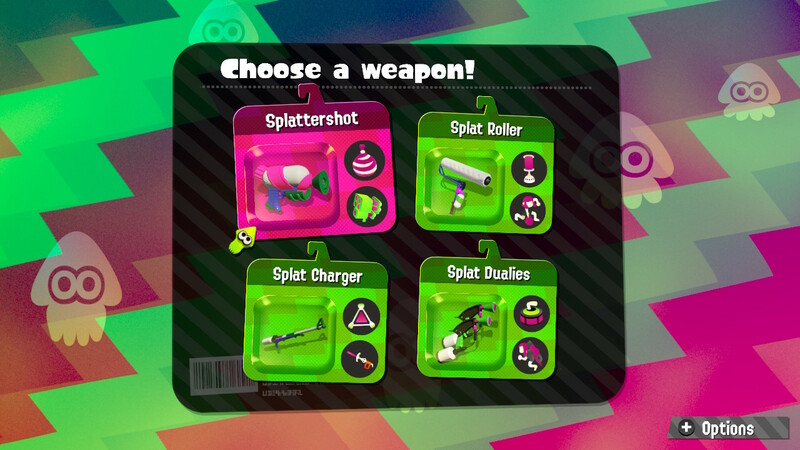 Aside from the Splat Charger, I found all of the weapons very easy to jump in and use as a new player. 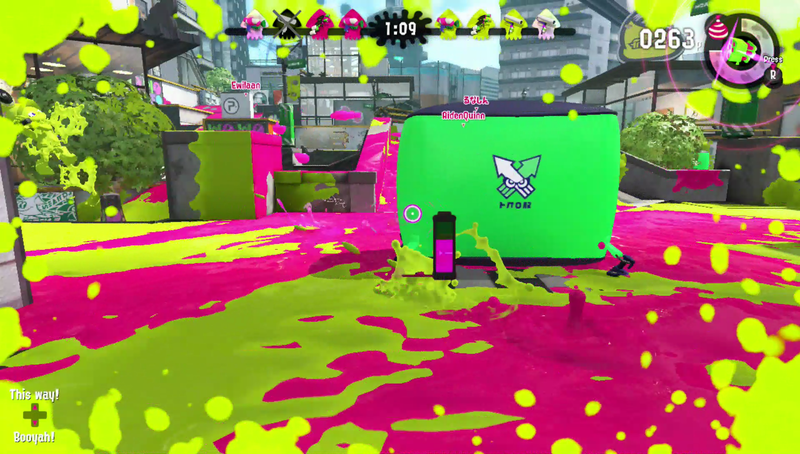 While some were more useful for protecting and covering area – like the Splat Roller, others were good for taking area forcefully with quick covers (at the cost of ink) when you do – like the Splat Dualies. They’re all deadly with a practiced hand however, and I don’t feel like the game is unfair if you’re proficient in any of these options. That could change as we see how people exploit the quirks of the system, but I never cried “nerf it” – not once. 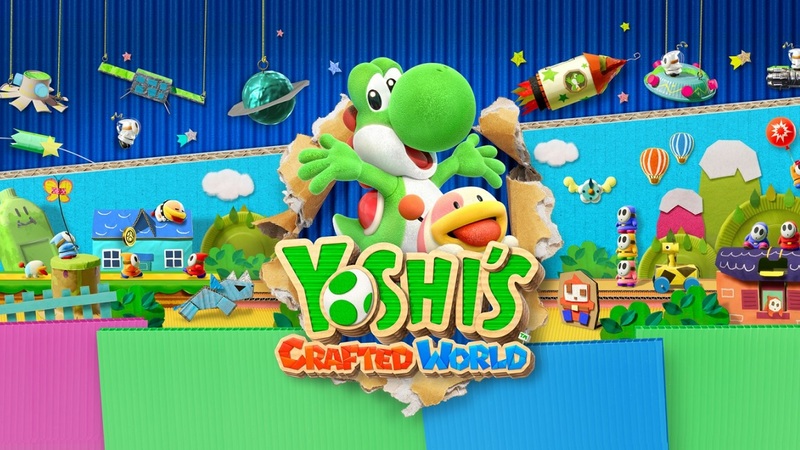 Instead, I simply played happily through all of the six testfire hours; getting better for the most part, but fumbling as one does when places up against unseen challenges and new worlds. 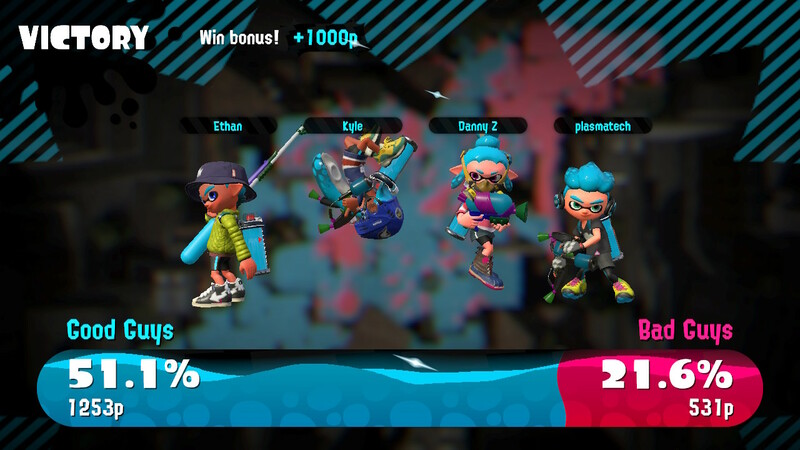 I made some incredible kills, took lots of land under my colour, scored nearly 2000 points a few times, and even had a round where I only died once (a personal best). 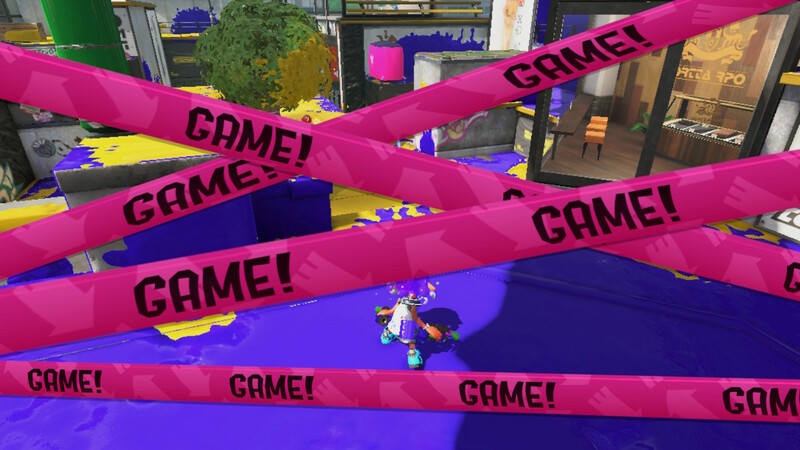 I basked in the glory that was Splatoon 2 – and though it was neither the full thing, nor quite what I was expecting it to play out like, it was absolutely an experience that has won over some attention from my wallet.